Designed for stone, concrete and brick applications. 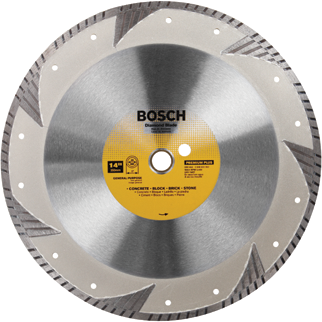 Turbo rim blades deliver up to 5x longer life and smooth cutting performance in hard materials versus standard blades. For use in high-speed saw.